West Bridgeford 14 vs. 31 Wellingborough R.F.C. 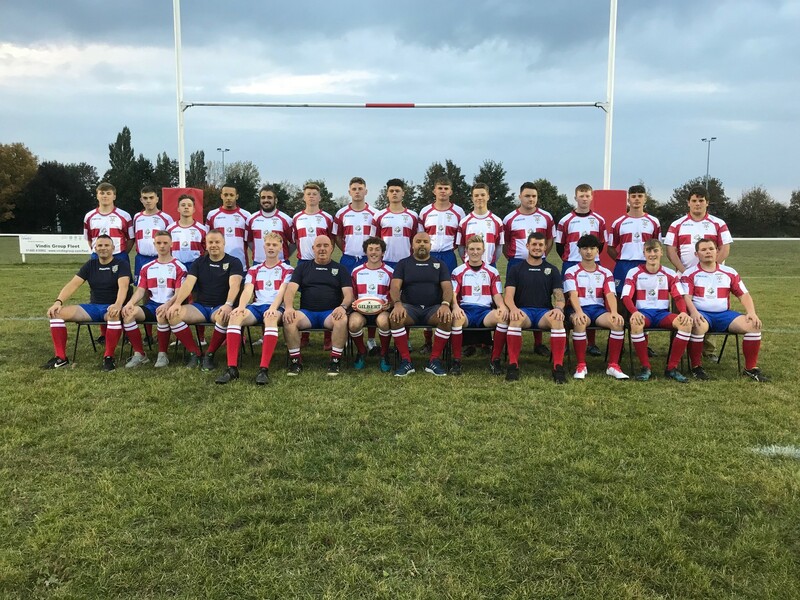 - 30 March 2019 - U18 Senior Colts - Wellingborough R.F.C. West Bridgeford vs. Wellingborough R.F.C. Boro's Colts headed to West Bridgeford with the First team on Saturday minus several players as Dom Shaw was with the first team squad and vice captain Dom Meylan-Stevenson and Ellys Finch unavailable. The opening exchanges saw an even battle but Boro had the advantage in the scrum. a break from Captain Ben Plowman was surely going to lead to the first points of the game before the referee called Harry Shipman back as he was about to go between the posts. This galvanised West Bridgeford who with powerful running from their back row and the fly half continually having options scored and converted. Boro then lost scrum half Jake Samwell and outside centre Tommy Smith having to bring on Jacob Cox and Will Farrar from the Junior academy. Will got into the game quite well despite butchering a 3 on one so badly the coaching team nearly rang the local police to report a crime! Just prior to half time West Bridgeford scored again through direct powerful running and once again this was converted. 14-0 at half time probably didnt reflect the way Boro felt they had played and with the upper hand in the scrums and the breeze in their favour felt the next score would be crucial. The second half began and unfortunately there was an injury to the West Bridgeford front row that meant he was unable to continue and this seemed to take the power from the running game as the scrums became uncontested. Mason Roberts, George Crisp and Steven Thorneycroft tackled themselves to standstill as the back row and fly half struggles to gain the same momentum they had in the first half. There were gaps appearing in the backs and two quick tries from Harry Shipman, one converted by Harry himself suddenly had the game in the balance at 14-12. Will Farrar then jinked his way to the line as did the skipper Ben Plowman before Harry Shipman completed his hatrick, Harry converted two of those (Somehow hitting the post with a third!) 14-31. Our thanks to West Bridgeford who were excellent hosts and contributed to a fantastic game of rugby. It has been a cracking season, a second place finish in League 2, an East Mids Referees Cup quarter final place and more importantly 3 players making their First team debut, 4 players making A team debuts and another 4 staring for the Development Team. Next seasons Colts look to be in good shape too with Adam Shipman and Shaun Davis taking over, James Batten, Harry Shipman, Steven Thorneycroft and Lewis Aitken have all been man of the match this season as have Jacob Cox, Flynn Anderson, Rhys Frampton and add Will "The Butcher" Farrar to that little group and the Colts will be an exciting team to watch next year. LADIES AND GENTS, THE FUTURE IS BRIGHT..... THE FUTURE IS RED AND WHITE! !